Are you on holiday and want to hold fit and healthy? 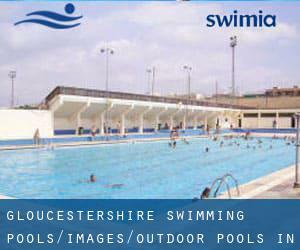 Swimia.com delivers you the easy and quickest option to find pool near Gloucestershire. Thanks to some new Outdoor Pools in Gloucestershire submitted on a daily basis, Swimia.com is increasing day-to-day the number of stored pools. Please do not hesitate to get in touch with us if you ever get any inaccurate or incomplete information. Please contact the facilities to check which activities are providing and their timetables. Looking for Pools? Many of them belong to gyms or sport centers which also present lessons. Please check the nearest Outdoor Pools in Gloucestershire or Contact us to ADD IT. It's totally free! Traveling to Gloucestershire? This really is the ideal spot on the net to discover places to swim in Gloucestershire. Every day you are not swimming you happen to be losing precious time to increase your skills a be a better swimmer! No more excuses!. Let us let you know a secret to switch off even though you might be in Dursley: just select a Swimming Pool in Dursley and plunge into the water! There's no even more useful method. Whereas Cirencester is among the six most populous cities in Gloucestershire with nearly 16.214 residents, you shouldn't miss that one if you're going to Gloucestershire. Holding an estimated population of 103.249, Cheltenham is among the most important cities in Gloucestershire. Check all of the Swimming Pool in Cheltenham and its surrounding region. Swimming is a excellent concept to keep your body active in the course of your visit to Gloucester (Gloucestershire), or perhaps if you are a local. Swimia helps you to discover your closest Swimming Pool in Gloucester. It's difficult to visit Gloucestershire with no dropping by Churchdown (with 13.287 residents). Currently Swimia is showing you all the Pool in Churchdown along with the closest pools located in its vicinity. Without a shadow of a doubt, swimming in Stroud is the perfect way to unwind following work. Take a couple of minutes to browse Swimia's catalog to find a Swimming Pool in Stroud. Queens Park Avenue , Billericay , England , UNITED KINGDOM (Postal Code: CM12 0SP). Swimmers like you reported 23 meters x 10 meters, Indoor/Outdoor. Unfortunately we do not have the email address of this Swimming Pool, but we can give you the phone number. East Acton Lane , Acton , London - West , England , UNITED KINGDOM (Postal Code: W 3 7HB). This sports center gives 25 meters x 11 meters, 6 lanes, Outdoors. Contact data for this Swimming Pool like phone number and email address are number. 161 Banks Rd , Sandbanks , Poole , England , UNITED KINGDOM (Postal Code: BH13 7QL). Among all the activities provided by the center, if you're interested in swimming you can expect to enjoy 17.5 meters x 6.5 meters, 1.1 meters - 2.2 meters depth, 1.1 meters - 2.2 meters depth, Outdoors. Just in case you want to contact this Swimming Pool before dropping by, we only know the phone number. Tooting Bec Road , Tooting , London - South , England , UNITED KINGDOM (Postal Code: SW16 1RU). Swimmers like you reported 91.5 meters x 33 meters, Outdoors. Unfortunately we do not have the email address of this Swimming Pool, but we can provide you with the phone number. High St. , Hampton , London - West , England , UNITED KINGDOM (Postal Code: TW12 2ST). This sports center delivers 36 meters x 14 meters, 6 lanes, Outdoors. Contact info for this Swimming Pool just like phone number and e-mail address are number. 269c Woodstock Road , North Oxford , Oxford , England , UNITED KINGDOM (Postal Code: OX2 7NZ). Few days ago a normal user of this center told us they offer 25 meters x 8 meters, 3 lanes, 1.5 meters uniform depth, 1.5 meters uniform depth, Indoors. Furthermore, they keep in good conditions 20 meters x 8, Outdoors. For this Swimming Pool, only phone number is number here. Vale Park , Park Street , Aylesbury , England , UNITED KINGDOM (Postal Code: HP20 1DX). This great and large sports center lets professional swimmers like you enjoy 25 meters, 8 lanes, Indoors. Additionally, within these facilities you can try 20 meters, 4 lanes, Outdoors. Phone number and email address are number for this Swimming Pool. Drayton High Road , Hellesdon , Norwich , England , UNITED KINGDOM (Postal Code: NR6 5DU). Swimmers like you have reported 25 meters x 18 meters, 3 lanes, Indoors. Also, you will find 20 meters x 8 meters, Outdoors. Just in case you desire to contact this Pool prior to dropping by, we only know the phone number. Updated on 2019 Hornfair ParkShooters Hill RoadLondonSE18 4LX. Swimmers like you reported Olympic size, 5 lanes, Indoors. Unfortunately we do not have the e-mail address of this Pool, but we can give you the phone number. Oakfield Place , Clifton , Bristol , England , UNITED KINGDOM (Postal Code: BS 8 2BJ). This sports center delivers 25 yards, Outdoors. Contact info for this Swimming Pool just like phone number and e-mail address are number. 242 Christchurch Road , Ringwood , England , UNITED KINGDOM (Postal Code: BH24 3AS). This sports center delivers 25 meters, Indoor/Outdoor. For this Pool, only phone number is number here.